The city of Oakland and USRowing are excited to host the 2018 USRowing Masters National Championships at Lake Merritt this week, from August 16-19, 2018 (Thursday to Sunday, racing each day from 8 am to 6 pm). USRowing has announced that this event has the most registrants than any other event hosted before, with over 1,300 rowers competing. The event is free for spectators to attend and offers local food trucks daily from 11 am to 7 pm, a beer garden featuring local breweries daily from noon to 8 pm and races on the lake all day from 8 am to 6 pm. 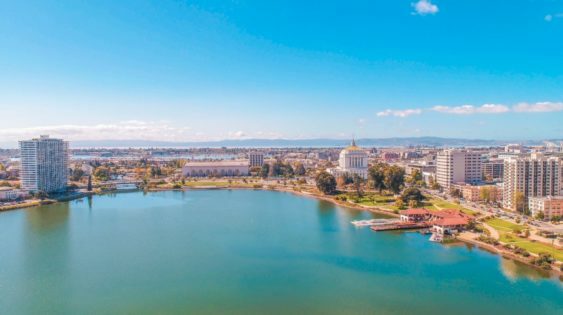 Known as the “Crown Jewel” of Oakland, Lake Merritt is an urban lake in the middle of downtown. With a 3.2 mile circumference, the naturally developed, humanly maintained lake is a mix of fresh and salt water connected to the Oakland Estuary leading out to the San Francisco Bay. The competition-quality waters of Lake Merritt have hosted other water sports and events in the past with USRowing now being the largest competition at the venue to date. Want to live it up? On August 16 there will be a $45 opening reception event from 6-9 pm held at Lake Chalet’s docks on Lake Merritt – adjacent to the starting line. A full bar with one complimentary drink, a lavish taco bar and heavy hor d’oeuvres will be served. The USRowing Men’s National Team Coach, Mike Teti, regarded as the most successful men’s coach in US history, will be speaking at the event from 7-8 pm along with some of the current USRowing team members. Parking is available at the Kaiser Center Garage on Friday at the garage’s normal rates. Saturday and Sunday parking at the Kaiser Center Garage is $5 for all-day special event parking. 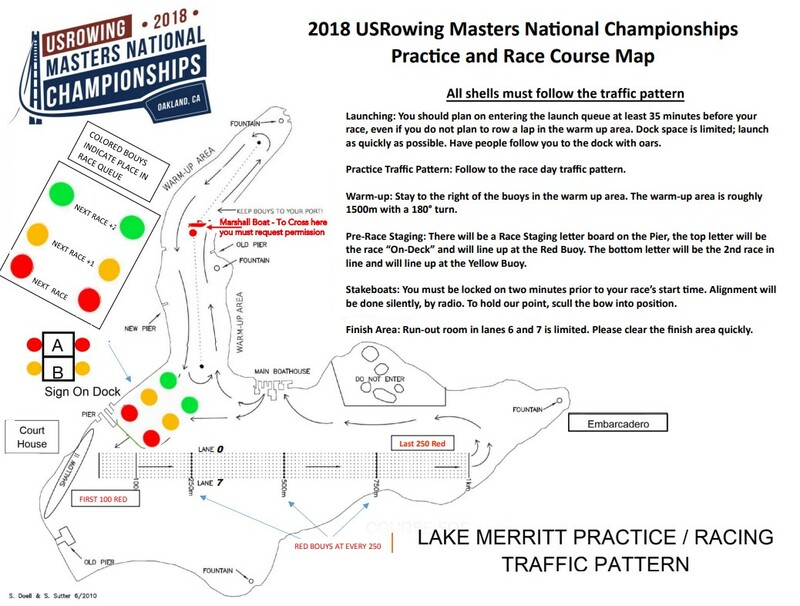 Shuttle buses will be operating between the Kaiser Center Garage and the Boat House at the lake on 5-7 minute intervals from 7 am to 7 pm, Saturday and Sunday. The shuttle buses will depart from the Kaiser Center Garage from the 21st Street (near Harrison Street) side of the garage. The Oakland Convention Center Garage (Clay Street and 11th Street) will have parking available each day. Shuttle buses will be operating Thursday – Sunday from 7 am to 7 pm each day from the Convention Center and the Oakland Marriott City Center. The shuttle stop will be on 10th street near Broadway. Public transportation is recommended for each day of the event. BART stations are available at 12th Street (adjacent to the Marriott and the shuttle bus on 10th street), and Lake Merritt BART station with a shuttle bus operating Thursday – Sunday, picking up on Oak Street at 8th. Other transportation options include Ford GoBikes, UBER/Lyft, Lime Scooters and Bird Scooters.